Hunters have done more to provide healthy meals for the nation’s poor than Michelle Obama’s crusade for Whole Foods arugula on every table. According to NSSF, hunters donated nearly 2.8 million pounds of game (mostly venison) to hunger programs in 2010. That provided more than 11 million meals for those less fortunate. Ever since the early days of the recession, local news outlets have covered stories of food banks in desperate need of donations. Hunters have stepped up to help meet that need. The White House garden? That didn’t make 11 million healthy meals. I also bet that the carbon footprint of the average hunter taking to the woods is far smaller than that of the First Lady flying in her tax-funded plane with her entourage to Hawaii and traveling all around Oahu to find an organic arugula farm. As an interesting side note, NSSF estimates that if they could account for all direct donations – those hunters make directly to friends & family in need without going through a food program – these numbers are easily doubled. I’ve donated one deer so far this fall. And donated old game (venison, pheasant, a goose and some duck) to a local pet shelter to use for dog food. Next two deer is food for me. Beyond that, it’s for Hunters for Hungry. I’m a big fan of programs like these. I don’t usually hunt beyond what my family can eat, but I know there are people out there who do and I’m so glad that there’s a place for the meat to go, rather than be wasted. My father in law just hands any “extra” off to those of us who don’t hunt. I know we regularly get at least a few pounds of venison from him every year. Admitedly we’re not short on funds, but still. And I’d happily take anything “old” for dog food anyone wants to donate! They need money though. The butchers have to get approved by guess who.. FDA in order to donate the meat. But you’re wrong. On a lot of things here. I’ll try to address the things I feel are inaccurate (at best) in order. 1. 2.8 million pounds of food is NOT 11 million meals. That’s .25lbs per meal. That’s incorrect. There is a lbs/meal number that everyone adjusts a little. I had thought it was closer to 1.3lbs/meal but could also be incorrect. What I do know is it’s not even close to .25 lbs/meal. 2. While 2.8 million pounds may seem like a lot of food. It’s not. The central food bank in Montana moved about 8 million pounds of food in 2010. That’s JUST Montana (population ~1 million) and JUST one large office. The entire food distributed in all of Montana through all food banks 16 million pounds. So 2.8 of game for the entire country is… well… insignificant. Texas puts out 279 million. Feeding America estimates 3 BILLION pounds just through their network. THREE BILLION with a B. So… that 2.8 million of game is great, and it’s a great thing to do, but let’s not get carried away with reality here. 3. While I disagree with tax payer funded trips as much as anyone else here, your comments make it seems like the first lady flew a 777 with 20 people on it to Hawaii for just arugula. They’re campaigning and were going to be there regardless. The carbon stuff is really reaching, I feel into hyperbole territory. You don’t need that. So… That’s all. I feel like whoever came up with the 11 million meals number couldn’t be more incorrect. And that makes the entire post meaningless. I like this blog, but this post needs some fact checking. 1) If you have issues with the numbers, you can take it up with NSSF & the company they used to contact all of the food banks, hunger groups, & government agencies. If you can provide the exact numbers for how many meals this helps create, feel free to provide that data. I don’t think 1.3 pounds is correct because no one would consider nearly a pound and a half of meat to be a healthy meal. Meat is one component of a meal, not the entire thing. If it provided the protein in, say, a pasta sauce served over spaghetti, it’s still a vital part of that meal. 2) I never said that 2.8 million pounds was a hunger-busting number. I have no idea where you got that idea. It’s a significant number. In some states, it’s more significant than others. 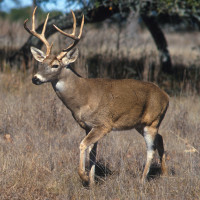 It also takes into account the West where whitetail numbers are substantially lower. Again, this is one type of food provided by one constituency. I didn’t make the claim that one should compare this with entire food program of an entire state. You appear to have inferred that I was making such grandiose claims because they aren’t in my post. 3) I don’t think it’s hyperbole. It’s relevant since she’s made this issue a platform for her time in the White House. Environmental regulations are a platform of her husband’s. I never claimed she flew to Hawaii just for her photo op, but it still highlights that she’s ignoring the very programs much closer to DC that do far more to help provide healthy meals for folks – Maryland & Virginia have many hunters who donate food to local food banks, and they have active sportsmen’s groups in the area that promote these programs. I can also tell you that the distance she drove around the island to get to that farm is at least as far as some friends in the DC-area go from their homes to hunt. It’s relevant. Take away those 2.8M pounds then ask the recipients how irrelevant it is. Do you seriously eat 1.3 lbs of meat per meal? Because that’s just disgusting. .25lbs per meal… say, could that be a quarter-pounder? 1. You’re failing to understand the factors here. You don’t count lbs/meal as their ingredients because that’s statistically impossible. You look at lbs / meal as a static thing. Yes, a meal does not equal just meat, but neither does it equal just grain. You use the lbs / meal as a way to determine roughly how many meals you can make, knowing that you’re not distributing just one type of food. This is quantitative factoring, as qualitative is relatively impossible. This is sound, and it’s how all food banks calculation their output. 2.8 million pounds of game does not equal 11 million meals. It doesn’t factually, or by your own argument that a meal is not just meat. If the NSSF reports that the it’s 11 million meals and is wrong, you should consider that when repeating it and not just wave a flag saying “I didn’t factor that”. I’m informing you it’s wrong because you are the news source for me, take it or leave it. I’m politely letting you know it’s incorrect, and that you may want to check it before blindly forwarding it on to others. 2) I got the idea you felt it was significant because of the comparison to the White House Garden (which by the way, we can probably agree is meant to be a symbolic gesture). If you were to donate all the 2.8 million pounds of all reported game from the US in a year to an large and mostly unpopulated state like Montana, then YES, it’s significant. If Feeding America collects and distributes 3 BILLION pounds in the same time for the entire country, then No, it is not significant. I have always felt that 12% was the line for significant when I calculate things. 2.8 million pounds of meat donated when rounded up is .1% of the total food distributed. While I agree that it’s a wonderful thing to do, I don’t think it matches anyone’s definition of significant. The way the original post is worded by mentioning “these numbers are easily doubled.” it suggests that the numbers could be impressive or significant. My mistake if that’s not what you meant. To ThirdPower who asks to take it away and ask how relevant it was, could you miss .1% of each meal you eat? I think every one should donate all the food they can when they can, hunters or not, I’m just not fooled into thinking the numbers the NSSF put out have been vetted for accuracy. Also, as an aside… You’re right that we don’t have many whitetail, although still plenty enough to issue tags for and they are larger here. We do have Mule deer which are considerably larger than whitetail (I’ve hit both with cars, I should know!) and Elk which make up a few times more than whitetail yield. Yes, the East may have more tags, but the West animals are larger, so I’m not sure why you’re “taking into account” for animal type. 3) It is hyperbole. You don’t have any data about how far hunters drive, the ‘carbon output’ of all hunting trips vs a campaign trip and then “distance she drove around the island” I have three friends/co-workers that are driving 540miles on their hunting trip this week (Eastern Montana is a big hunting destination for people in WA, ID, MT, ND, SD, WY). I have read your response a few times and I’m not sure where you’re going with this. If you don’t have any way of proving or accurately comparing your claims, they are an exaggeration to create emphasis – hyperbole.